Limited-time offer! Get your fully functional website within 5 business days at astounding price! If you don't want to spend your time installing the template, don't hesitate to order expert assistance. Want your website to get high SEO ranking and well-targeted organic traffic? We will make all the necessary changes, guide you through all aspects of on-site optimization and make sure that your website is properly crawled by search engines. InMotion Hosting, market leader in features and quality, is offering this EXCLUSIVE deal to Template Monster customers: Get a full year of Premium Web Hosting for $47, AND, total access to our award-winning, industry-leading customer service, to assist you with getting your site and template up and running. We GUARANTEE our hosting to work with the template you purchase, and we know you'll find our development features, reliability, and customer service to be the best in the business. Get It Now & You’ll Love It! Questions before or after purchase? Get help at any time! 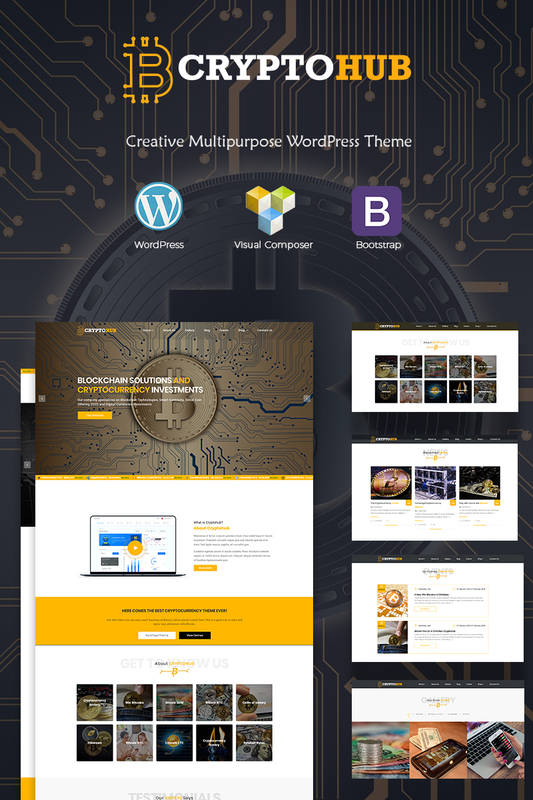 Crypto Hub is a WordPress Theme for Cryptocurrency, Bitcoin & Digital currency with predefined web elements which helps you to build your own site. Its suitable for bitcoin, blockchain, coin currency, crypto currency, currency, Currency Exchange, digital currency, exchange, exchange currency, litecoin, mining, online wallet, responsive website. 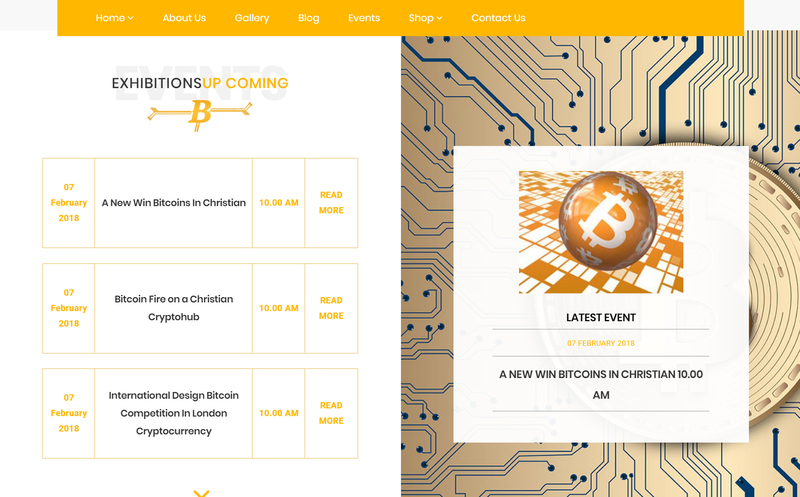 Crypto Hub WP Theme has a fully responsive layout. It fits perfectly on various displays and resolutions from regular desktop screens to tablets, iPads, iPhones and small mobile devices.